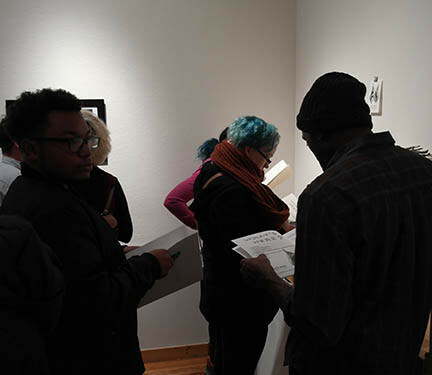 In collaboration with the Boston LGBTQIA Artist Alliance, and in recognition of Trans Awareness month, Gallery 263 was pleased to present the Special Exhibition trans/draw. 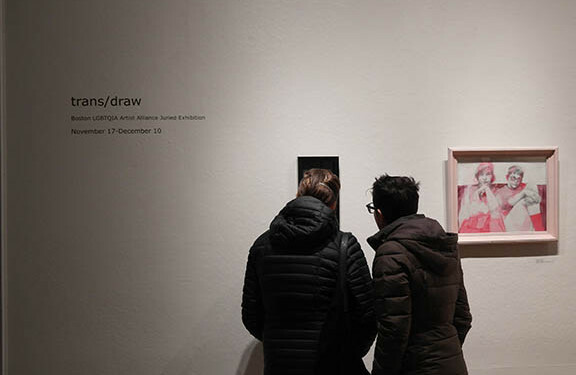 The 12 Greater Boston-based artists featured in this show explore the power of drawing as a mechanism to express and reflect on the trans experience. 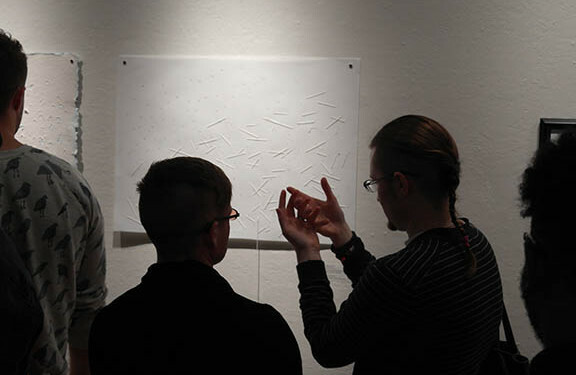 Their practices span a variety of media, from traditional pencil on paper, to sculpture and video. 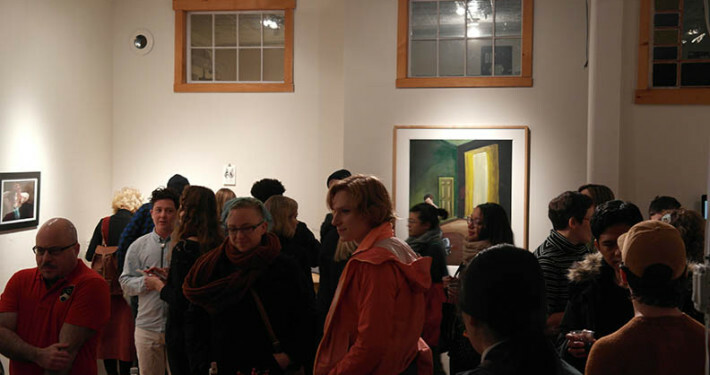 Please visit our Exhibition Page for more detailed information about the participating artists and their work. 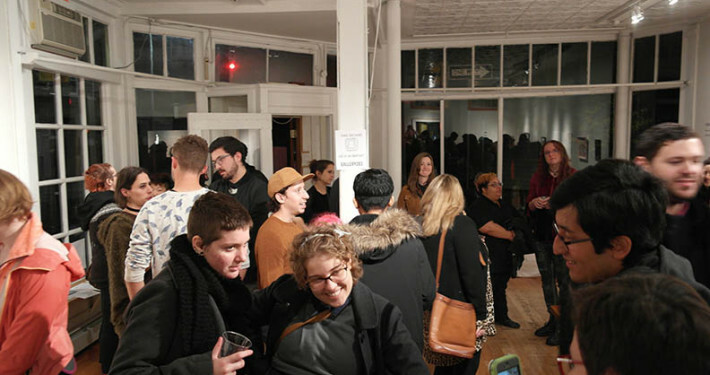 On Saturday November 19, artists, friends, and gallery visitors gathered together to mark the opening of the trans/draw exhibition. 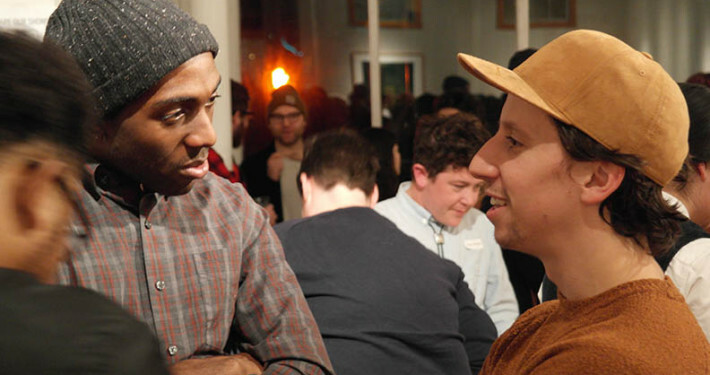 This warm and bustling event provided opportunities for conversation, connection, and celebration. 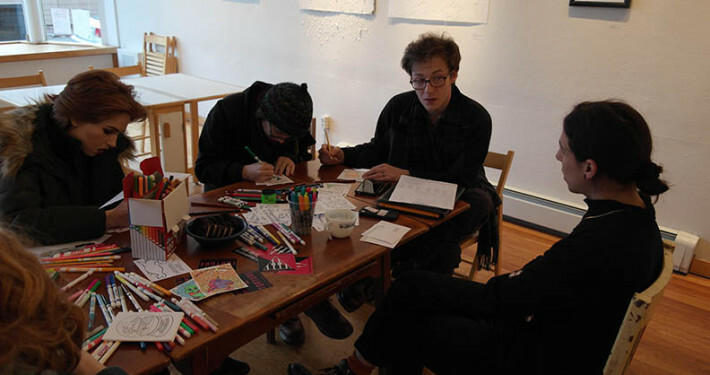 A gather on December 3rd was held to continue the spirit of visibility and solidarity created by the trans/draw exhibition and reception. 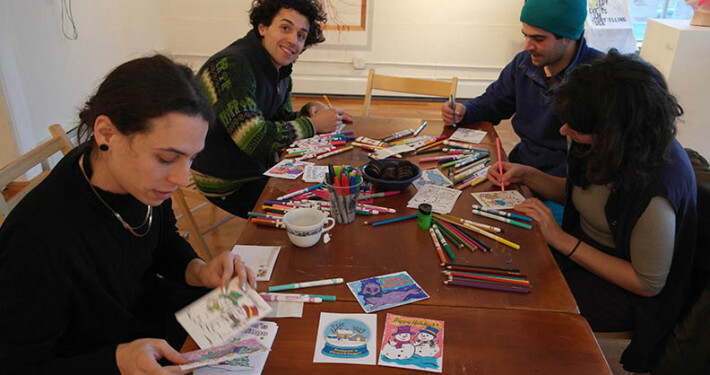 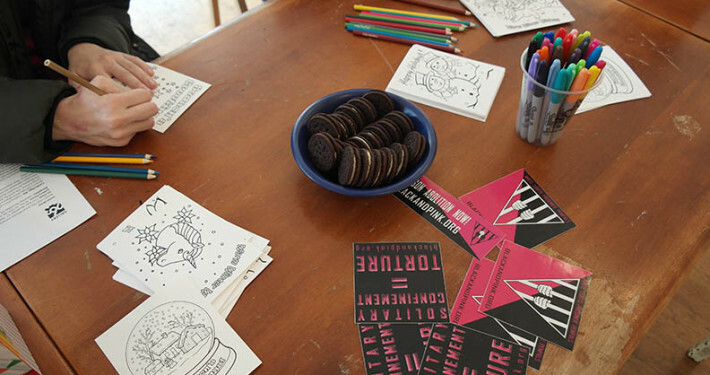 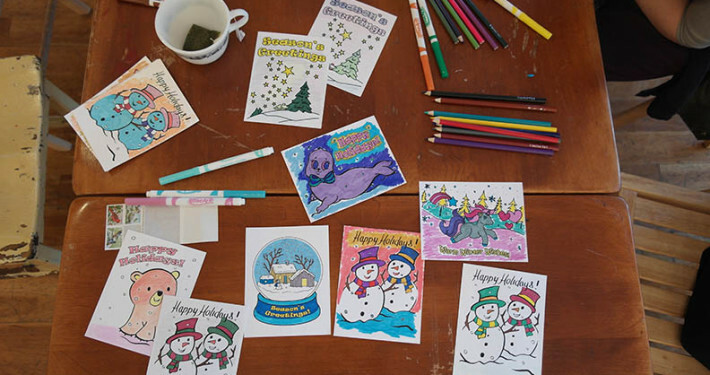 Participants supported Black & Pink: a group that responds to violence of the prison industrial complex against LGBTQ people with advocacy, education, direct service, and organizing, by writing and decorating holiday greeting cards for incarcerated LGBTQIA people. 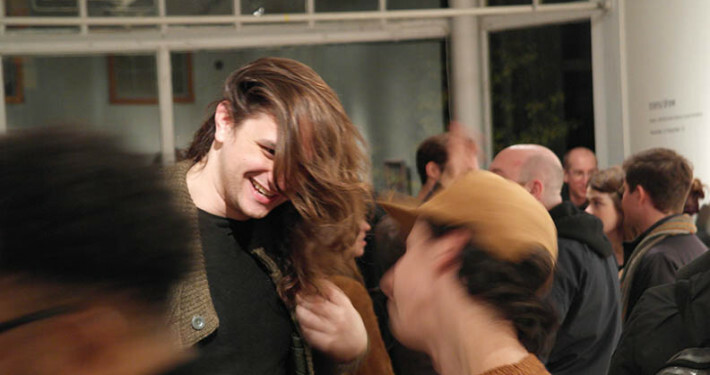 Matthew, a practicing lawyer, was also on hand to answer questions and provide resources for individuals seeking to legally change their names or gender designations.